I spend my days in clutter – talking about it, looking at it, moving it around, boxing it up, putting it up, donating it, throwing it away, recycling it. I spend my days working with people who are surrounded by clutter – in their kitchens, garages, closets, dining rooms, living rooms, kids’ rooms, bathrooms, dens, attics, offices, and their minds. I spend my days watching how people struggle – Do I donate it? Where? Who could use this? Will I need this again? I paid so much for that. I used to wear/use that all the time. It is still in such good shape. I think I’ll give it away, no, I’ll keep it, I don’t know what should I do? My husband/wife says I should just get a dumpster and just start throwing it away. I think I’ll keep this magazine because there was an article I wanted to read. I’ve had that for years and haven’t used it, but I might start using it now. I spend my days hearing their stories. Hearing how they grew up. Hearing how they arrived at this place of clutter and confusion. Hearing how much physical pain they are experiencing. Hearing how unhappy they are in their marriages. Hearing the grief they are experiencing over losing a child/a spouse/a sibling/a parent/a friend. Hearing how embarrassed they feel over being surrounded by the clutter. Hearing how they want things to be different, but are unwilling or are not ready to make the choices to do the hard work to get there. Hearing the desires of their heart. I spend my days holding those in pain. Listening to those who have no one else to listen. Caring without judging. Walking through their past, their present and visualizing their future. Working through their mindset to get to thoughts that will serve rather than hinder. I spend my days knowing what is in store if they can breakthrough, work through and process through their clutter. I spend my days knowing some will never get there and I ache inside. I spend my days thanking God for those that do, knowing they are experiencing a freedom they’ve never experienced before. I spend my days as an organizer and life coach. Those that don’t have the struggles, my clients do, have little patience and understanding for those that do. Those that do struggle with the clutter, in their physical surroundings, and in their minds, know the struggle is real. Each piece of physical or emotional clutter has to be brought to light, held and a decision made. The process can be long and arduous. It can take time. It can cost money. In the end, it can provide peace. I spend my days trying to help people find peace……..what a great job. Compared to most refrigerators I see, my refrigerator is pretty bare. I have seen people who live alone with 2 refrigerators full of food. I have seen families of 7 with refrigerators that are not stuffed. No matter the number of people in your home, your refrigerator can still be stocked with what you need without excess. There are many reasons I keep my refrigerator this way. We eat leftovers. We eat a meal and if there are leftovers, we eat them for lunch, dinner or sometimes breakfast! We eat what we make. I don’t mindlessly buy a bunch of food. I look ahead at the week and know when I’ll be cooking. I look in the freezer, refrigerator, and pantry to see what food needs to be eaten and base the decisions about my meals on what I have. I don’t like “losing” things in my refrigerator. If I have too much, I can’t see what I have, therefore I don’t end up using what I have. I hate wasting food. Yep, I channel my grandmother when I save a little bit of food to eat the next day. Food is wasted when you don’t eat or freeze what you’ve made. It is much easier to clean a refrigerator that is not overflowing with food, condiments, and beverages. I am thankful for the food I have. That may sound odd, but if you have ever lived with scarcity, you know you appreciate what you have so much more. 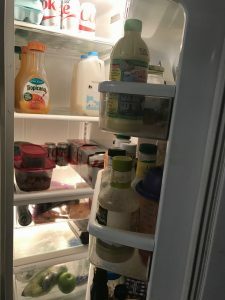 I don’t take the food in my refrigerator for granted and am grateful for what it represents. Look in your refrigerator. Are you constantly buying too much? What can you use this week in the meals you are preparing? What did you mindlessly buy that you will never use? Pay attention to your buying and consuming habits. If you do, you will save time, food and money. A win-win! I have to admit to all of you, I detest yard work and my husband detests it even more than I do. I am not good at it and I don’t enjoy it, but when I set my mind to something, well, it usually gets done. Today, I decided it was time to attack an area of our landscaping and attack I did. This bush you are looking at is a beautiful Forsythia bush (not sure why I even know the name of it). In the spring it is beautiful with yellow blooms. When it was first planted, many, many years ago, it was the perfect size bush for this particular area of my yard. However, over the last several years, this part of my landscaping has been ignored and unattended. Several bushes morphed into other bushes and vines were woven in and out of all of them. 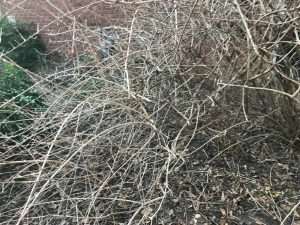 This pretty bush had turned into several small bushes and began taking over a very large area, squashing out and growing over several other bushes. I had a mess. It was hard to tell where one bush began and the other one ended. But, as I said, I was determined to take care of this mess so I headed in the backyard with my less than adequate tools and began to prune and cut. The tools I used were an ax, a pruner (borrowed from the neighbor), a machete, and my hands. I would take whatever tool I thought I needed and use it until I realized it was the perfect tool or I would need to switch to something else. Once I cut a stem or root, I would pull on the bush until that particular part of the bush let go and I pulled it free. I became covered in dirt, got blisters on my hands, and scratches on my hand and arms. As I am working, I made such a distinct connection to the thoughts that are in our mind. Our thoughts become intertwined with lies and we can no longer discern where the truth begins and ends and the lie begins and ends. Other people’s thoughts begin to cover our thoughts like vines. Those thoughts begin to cover up our own thoughts and begin to diminish our confidence in our thoughts and in ourselves. The process of unwinding and untangling our thoughts requires the same thing it took for me to untangle the bushes. You have to do it methodically, deliberately, and with the right tools. You have to be persistent in your pursuit even when you feel like giving up, get dirty and it hurts. You have to be willing to keep chopping, pruning and digging until you get to the root/truth. We all live with a lot of lies we believe. To live an authentic and happier life, we need to dig into the thoughts that are driving our behavior and be willing to examine what we find there. I sit here tonight with pruned bushes, blistered hands, and scratched arms and hands, but having accomplished my goal. That area of my yard can now flourish because I have given the bushes room to grow. My desire for you is for you to go through the pain of getting to the truth knowing there will be room to grow and flourish on the other side of all your hard work and determination. 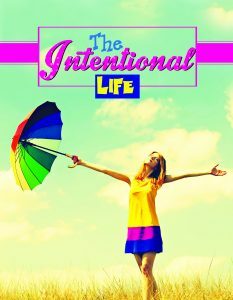 Intentional Living – What Does It Mean and Are You Doing It? I’m not saying those things aren’t incorporated into living intentionally, but I am saying there is much more to intentional living. Things like knowing why you are making the choices you are making each day. Knowing what direction your life is going and where you want it to go. Knowing your values so you can align your life up with those values. Getting inside your head to know what thoughts you are really thinking that are driving many of your decisions. Intentional living is living your best life now…….no matter the circumstances, obstacles or challenges. Want to learn more about living life more intentionally? Download this list of my 10 Great Quotes About Living the Intentional Life. Also, join me February 25th for The Intentional Life Seminar. 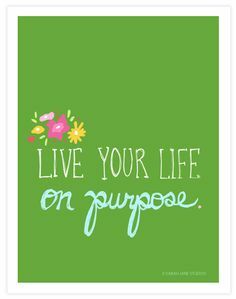 A day carved out for you to learn how to live more on purpose. I would love to see you there! Details below. How many of you know it is CLEAN OFF YOUR DESK DAY? Well, it is. Hallmark just hasn’t jumped on board with a lot of hype, but us organizers love this day! Take it off….take it all off. I like to take everything off my desk and sort it into piles based on category. Bills to pay, respond, take action, trash; whatever makes sense based on what is on your desk. Only put back on your desk what needs to be there. Find a home for everything that is running around your desk homeless. If it’s there it needs a place to live, not just on top of your desk. You can have piles on your desk (yes, I said that – you really can have piles), your piles just need to be purposeful, orderly and be in a system where the piles are addressed on a regular basis. Evaluate what is on your desk. Would it be better off living somewhere else? Does it really need to be sitting on top of your desk? Would it work better in a drawer or on a shelf? 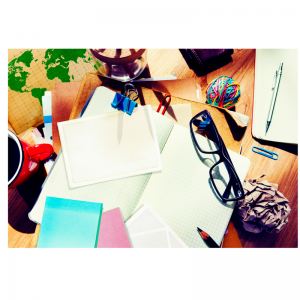 Take 15 minutes, at the end of the day, to organize your desk in order for the next day. When you walk in the next day, you will be glad you took those few moments. So, even though I don’t have a Hallmark card I can send to celebrate this day, go celebrate by taking the time to CLEAN OFF YOUR DESK. Let me know how it goes or if you have any questions. I’ll answer your questions right after I get through cleaning off my desk! 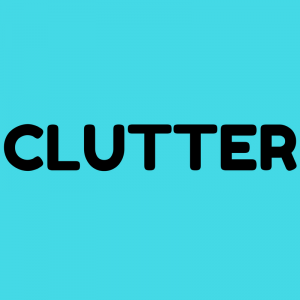 It is January 1st and I can bet at least 75% of the people reading this post have a resolution to de-clutter and organize. As an organizer and life coach, I say go for it! However, I will let you know there are some truths that you need to know before you begin. As the quote says, you need to start with your vision. Your “why”. If you can identify that, decision making will be easier and your motivation will not fade. Visualize the life you’d rather be living, then move towards that vision. De-cluttering is one thing. Organizing is another. De-clutter first. Organize second. 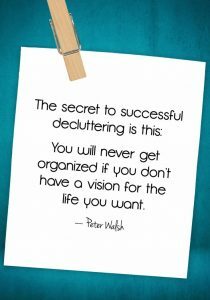 De-cluttering and organizing is not a one and done deal. You will have to continue to manage “stuff”, just hopefully not as much and it should take much less time! Don’t buy organizing products until you know what needs organizing AND just because something is in a box doesn’t mean it’s organized. It means you have put a lot of stuff in a box and basically delayed making decisions on any of it. Don’t expect it to be an easy process. It takes time, patience, and follow-through. It is easy to get started with a lot of motivation and excitement. When you get deep into the process is when you need to dig in your heels, grit your teeth and keep going. 2017 could definitely be your year to be more organized and de-cluttered. Go into the experience with a clear vision, realistic expectations, and tenacity. Clear the path for the life you want to live, not a life of managing stuff.